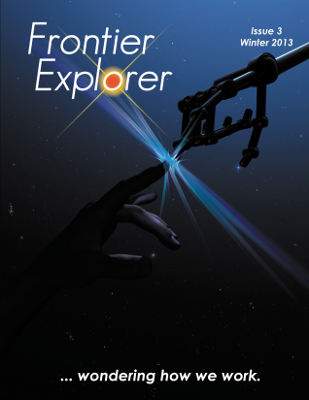 Issue 3 of the Frontier Explorer is now available. We were really excited and honored to get permission from Ali Ries to use one of her images as the cover and couldn't pass up the opportunity to center the issue on the topic of her picture. Accordingly this issue has a strong robotics theme with articles on new robots and robotics skills and a robot component to the included adventure. This issue contains the final installment of the Mooks Without Numbers adventure and also a new creature file entry by explorer Jurak Hangna. In addition we have a number of other articles containing useful background information for game masters, more locations, a pair of starships and a short story. The issue is packed full of great articles.